This is why we build ponds and general builders build houses. Local general builders had built a large pond on the cheap with second hand materials, they could not keep the water at the right level so the home owners were not happy. The large pond liner had been in another pond previously, it had been purchased on the cheap as a job lot to save money and removed from the said pond to the new site. The builder then had to find the local pond repair experts for help. They were explaining to us the pond water will not stay at a steady level, which after a site inspection it was due to the quality and the poor installation of the liner. The builder explained they were way out of there depth and would be relieved if we could offer any assistance. The employed general builders had built two ponds before on a smaller scale, they had built a nice wall and patio edging on top of the poor quality liner so it could not simply be replaced. The builders did not have the experience and did not understand the basic principles of pond building and edging. It amazes us on how many people think that building ponds are easy. The most important thing about building a pond is getting the levels right, because once the liner is in place the water level will not lie. What happened is the builders that build the retaining wall and patio on top of the liner, had not actually folded the lineup up underneath the back of the wall. What had happened the wall had been built on top of the liner and the water was running out due to the low edge of liner. CHECK CURRENT POND LINER for holes or anything underneath, we found the liner had been put on top of shards of cut concrete, bricks and large tree roots, which is no good at all and especially with the weight of water that is going to be sitting on top of it, especially in educated tradesman walking and running over the fragile liner. CLEAR UNDERNEATH and for us to do this we set up our mobile pond water holding units. 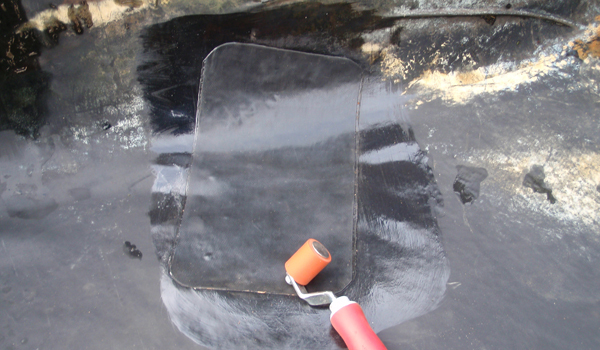 We drained as much pond water out so we would have a dry edge to work on the repair work. FIT TERMINATION BAR around the perimeter, that was flexible enough to go round the lumps and bumps, to hold our liner and raise the water level. The pond water is now stable and the water is sitting at the correct level. No water has disappeared since our repair work, another happy customer. 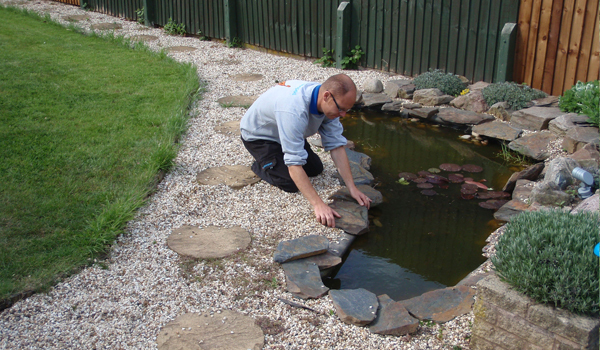 So as pond repair professionals we will meet the requirements of your situation and budget. We are able to adapt and overcome most obstacles we will face. 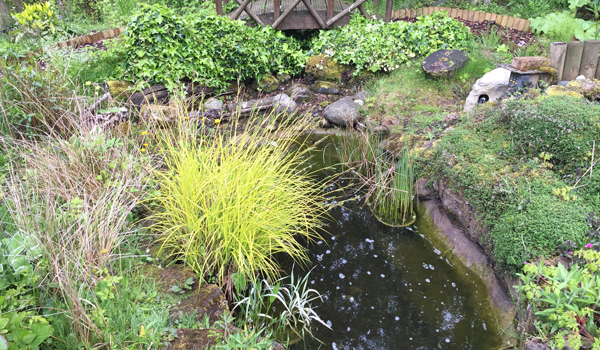 We are happy to help and give advice, we get great gratitude from our clients being happy with their pond, weather we have to repair it or replace it. The moral of this story is buying cheap quality materials and using general unskilled labourers is not always the cheapest option.